Batman Arkham Knight is set for a June 23 release for the PC, PlayStation 4 and Xbox One. The game has seen a few delays but given the amount of broken games we get lately, Arkham Knight’s minor delays were a welcome inconvenience. With the release of Batman Arkham Knight getting closer Rocksteady and Nvidia have revealed the Minimum, Recommended and Ultra specs needed to enjoy the game. Sefton Hill, Game Director of Batman Arkham Knight and co-founder of Rocksteady Games shared via Twitter, that a very exciting new trailer is coming and “it’s looking sweet.” He also mentioned that we “might see someone familiar from Arkham City in there.” He further went on to tease a brand new feature that no one outside of Rocksteady and Warner has seen before. He has recently confirmed on Twitter that the game will definitely be releasing on June 23 2015. 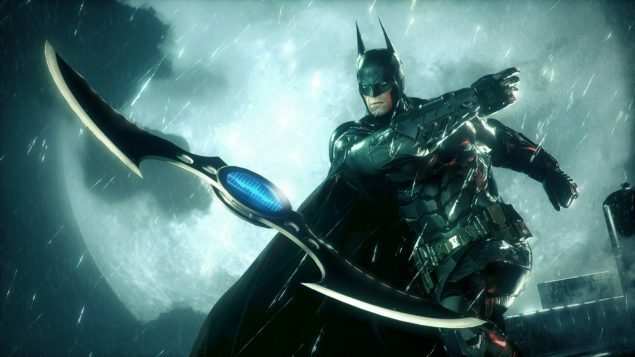 Batman Arkham Knight is set to release for the PlayStation 4, Xbox One and PC. We will bring you any new information prior to its release as soon as it becomes available. Be sure to check out our previous Batman: Arkham Knight coverage for more information on the game, here and here.